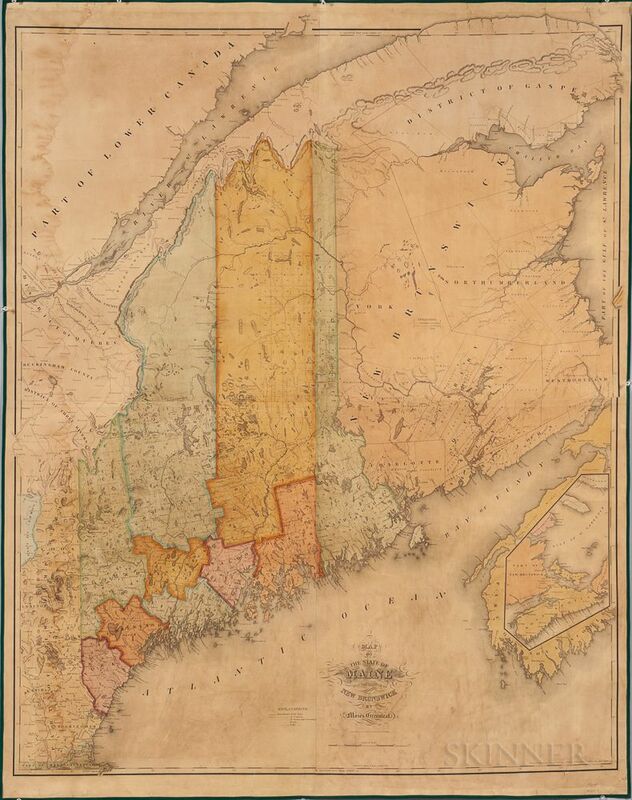 Map of the State of Maine with the Province of New Brunswick by Moses Greenleaf. 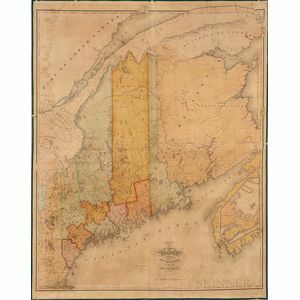 Map of the State of Maine with the Province of New Brunswick by Moses Greenleaf. Engraved by Philadelphia: J.H. Young & F. Danforth; Published in Portland, Maine: Shirley & Hyde, 1829. Oversized display-format steel engraved map of Maine, hand-colored, professionally mounted on linen with green binding, rolled, 50 3/4 x 40 1/4 in.